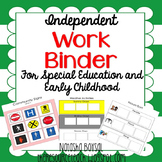 Independent Binder Work System- WHERE TO START FREEBIE! Laminate and velcro all attached pages for independent work in ELA and math. 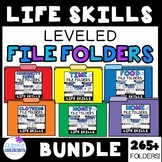 This is a PACKET of 12 file folders: 1. Matching Ocean Animals (2 levels) 2. Matching Jungle Animals (2 levels) 3. Matching Things you find on a Farm (2 levels) 4. Matching Sports Items (2 levels) 5. 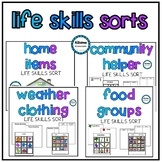 Sorting Ocean vs. Land Animals (2 levels) 6. Sorting Jungle vs. Farm Animals (2 levels) To use: 1.